As your business grows and changes, your space must change with it. Whether you’re expanding into an adjacent space, or simply refreshing the flooring, fixtures and lighting of your current space, Metro can help. 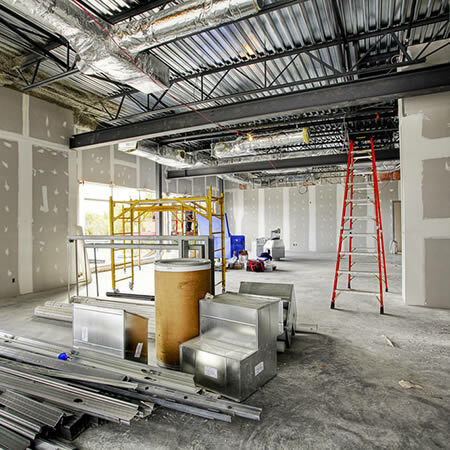 Our team is skilled at navigating the unique challenges associated with remodeling an existing business. We understand that your business doesn’t stop when you remodel. Our team will work with you to allow your facilities can stay open during construction, with minimal disruption to your customers and staff. One of the best ways to limit disruption is to shift construction schedules to the evening, when your business is closed. When work must be completed during business hours, we treat your customers as if they were our own. We carefully control dust and noise, and work with management and operations to safeguard the safety of patrons and employees. Medical facilities require special attention to ensure that your clients can be safely treated while construction is progressing. Metro’s project managers and superintendents will work closely with management to comply with all applicable regulations and protect the safety and health of building occupants. Regulations for accessibility can change frequently. Metro Construction Management can quickly bring your space in line with current ADA and accessibility standards. Metro Construction Management has partnered with the top millwork facilities in the industry to provide our clients with sophisticated, practical fixtures that will stand up to hard use.